When sun gives Italians lemons, they make limoncello! I am at the coast of Almafi today and every little shops and restaurants are all swamped by these neon-yellow colored stuff called Limoncello. In fact, around Sorrento and Amalfi coast, Lemon and orange trees grow all over towns which gives touches of sun even during its winter time. I am not a super fan for limoncello, nor it’s creme on a daily basis. 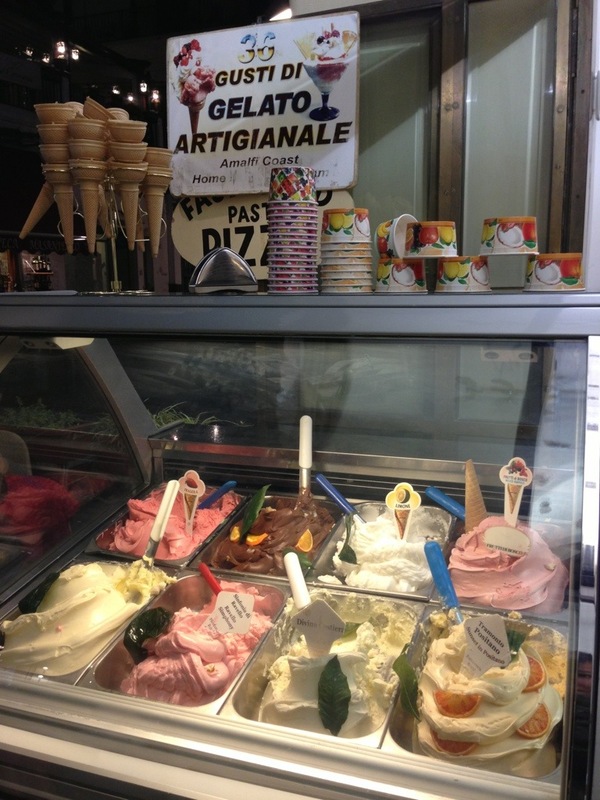 However, today I found my love for their sun – Sorrento’s Limoncello and Positano’s Orange gelato – The best from both worlds!~ I tasted them at one of the gelato shop in the old town of Almalfi. It’s so tasty that even in winter here, I can have it all day long. If you so happened to be in these area and you are not too much on the alcoholic side, go try this! 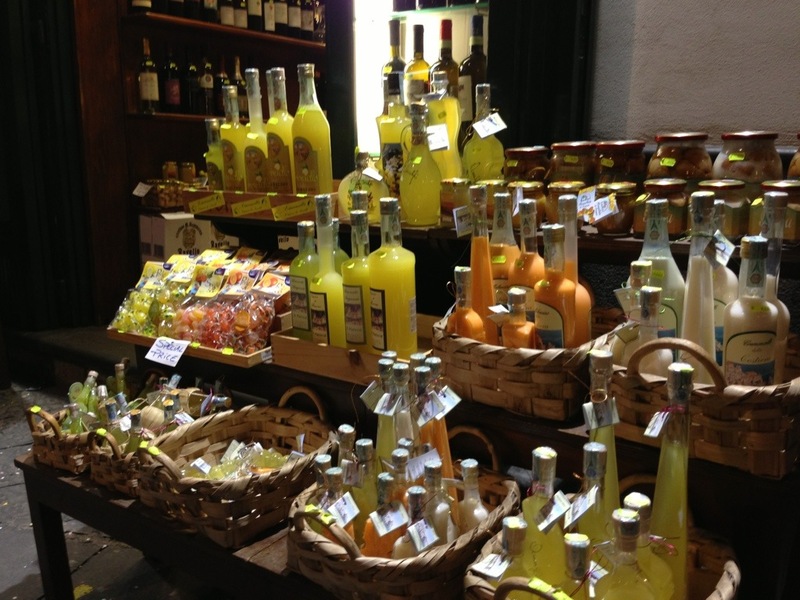 Some Limoncello info: Limoncello mainly produced in Southern Italy, especially in the region around the Gulf of Naples, the Sorrentine Peninsula and the coast of Amalfi and islands of Procida, Ischia and Capri. It is also produced in Sicily, Sardinia, Menton in France, and the Maltese island of Gozo. Though there is debate about the exact origin of the drink, it is at least one hundred years old. 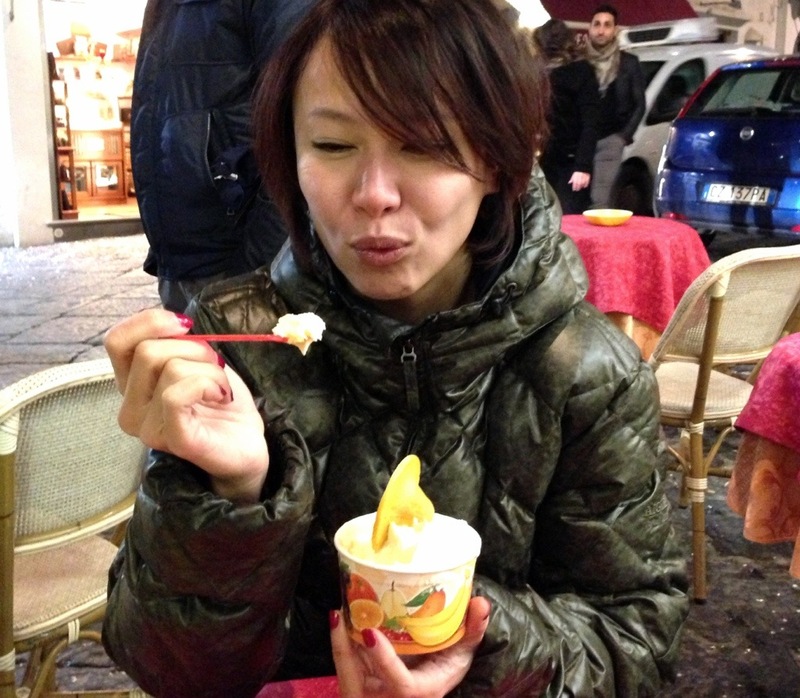 Traditionally, it is made from the zest of Femminello St. Teresa lemons, that are also known as Sorrento lemons. Lemon zest, or peels without the pith, are steeped in grain alcohol until the oil is released. The resulting yellow liquid is then mixed with simple syrup. Clarity and viscosity are affected by factors like the relative temperatures of the two liquids. Most lemons, including the more-common Eureka lemon, will produce satisfactory limoncello. oh am having both of them again and again in Almafi town!